TODAY ONLY! $8.98 for 150oz Tide! 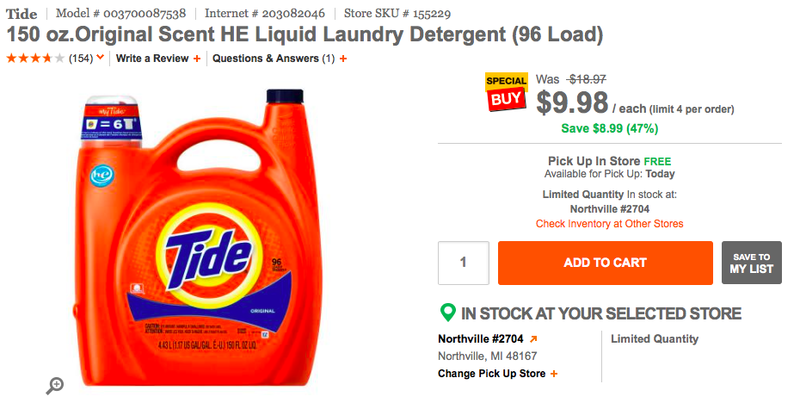 Today only at Home Depot they have Tide HE 150oz (96 load) for $9.98! If you have the $3/1 printable coupon that came out last month then your oop will be $6.98 or $0.07 a load! With the current printable coupon it makes it $8.98!!! Thats $0.09 a load!! STOCK UP PRICE!!!! Final Price: As low as $6.98!